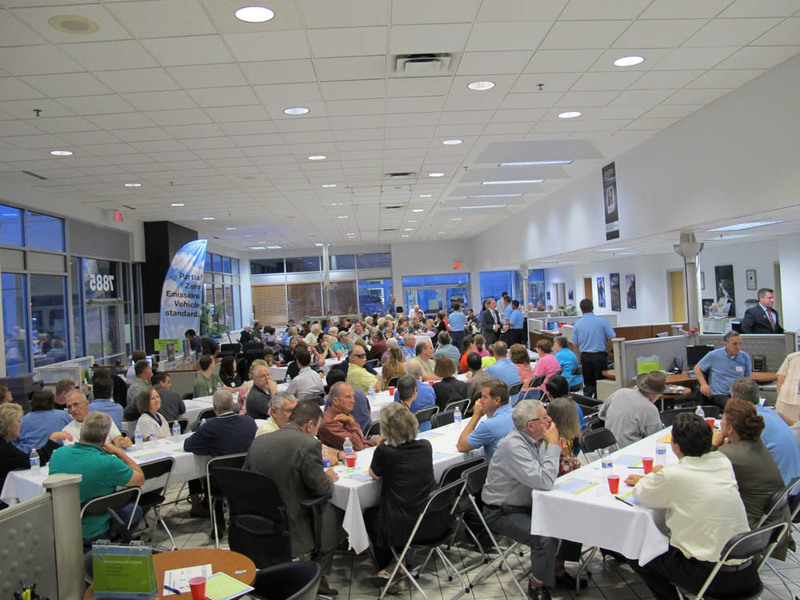 When the 2013 Ford Fusion debuted at the 2012 North American International Auto Show in Detroit, MI, it was immediately clear that Ford had a hit on their hands. Following in the footsteps of 2012’s Ford Focus, the new Fusion was thoroughly redesigned with more features,power, and most importantly, refinement. 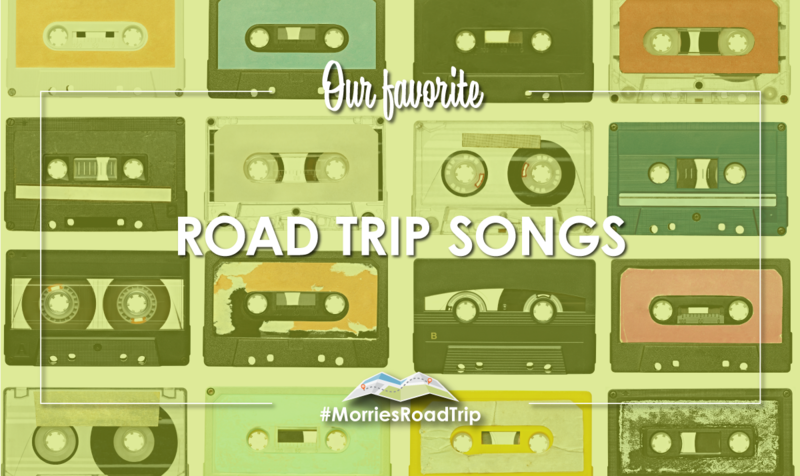 For that reason, I was thrilled to have the opportunity to drive and enjoy a 2014 Ford Fusion Titanium for a weekend courtesy of Morrie’s Minnetonka Ford. 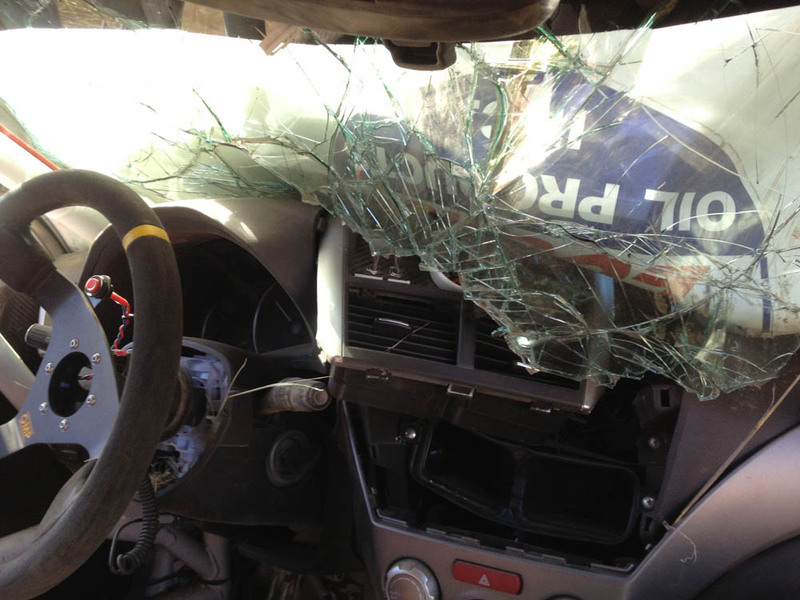 This new standard of quality is immediately obvious as soon as you sit down in the driver’s seat. The soft yet supportive leather-trimmed seat happily greets you with its warm embrace thanks to the much appreciated heated seats. The door closes with a reassuring *thunk* that makes the structure feel solid and well crafted. Gripping the supple, leather-wrapped steering wheel and looking ahead to the instrument cluster which features dual 4.2-inch screens flanking a central tachometer give the impression that this car wants to be driven. 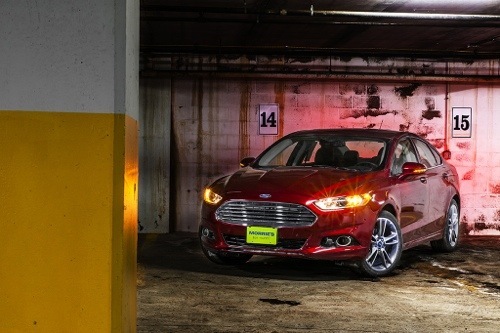 Ford no longer offers a V6 option in the Fusion. Instead, there are five different 4-cylinder options ranging from a 2.5L making175 HP all the way up to a 2.0L EcoBoost engine producing 240 HP that comes as standard with the Titanium trim level. For those wanting the best possible fuel economy, there is also a 2.0L 4-cylinder that is paired with an electric motor as either a hybrid or plug-in hybrid vehicle. Although the Fusion Titanium Hybrid can return a claimed 47 MPG, I was more than happy with the 27 MPG I saw while driving the 2.0L EcoBoostequipped Titanium, especially considering the optional all-wheel drive I had to help get me through the snow and ice. The 2.0LEcoBoost is perfect for those who want a balance of power and fuel economy and I have no doubt that in better weather, I’d have no problem achieving the factory claimed 33 MPG on the highway. 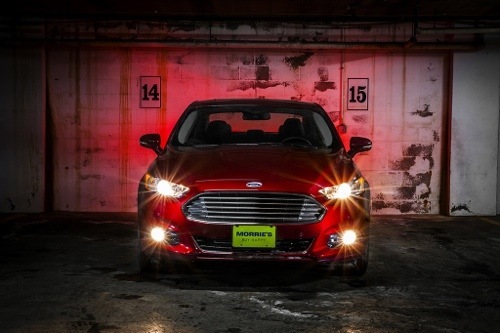 Where the new Fusion really shines though is with the technology and safety features that are available. While the Fusion Titanium I drove was just about as fully loaded as you can get, it did offer a lot of bang for your buck too. 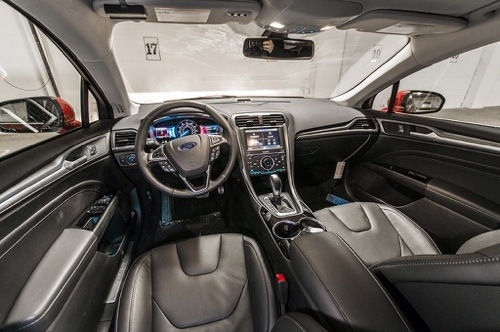 Inside, it came equipped with a SYNC with MyFord Touch infotainment system that featured an excellent navigation system with 3D buildings and landmarks on the 8-inch touchscreen. With the Titanium, you also get things like heated seats, keyless entry and start, a Sony premium audio system and more. 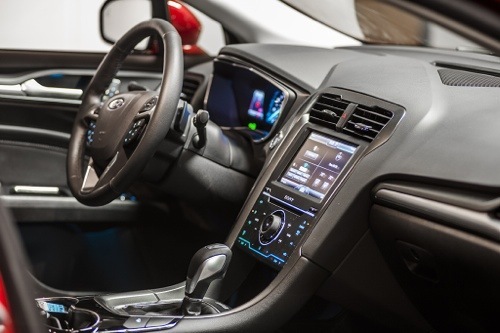 Overall, the Fusion can be equipped with nearly any feature you could imagine but if I had one gripe, it’d be with Ford’s decision to get rid of traditional knobs and buttons and replace them with a capacitive touch panel. I personally think the big, plastic panel looks really clean, but the problem with capacitive touch panels is that they’re hard to use in the winter unless you have specially designed gloves. It became a bit of a hassle to take my gloves off every time I wanted to adjust the temperature or change radio stations. On the flip side, SYNC is one of the few systems that allow the driver to change all of those things using voice commands so maybe I’m just being a bit nit-picky. All in all though, I thoroughly enjoyed my weekend with the 2014 Ford Fusion Titanium. It’s quiet, comfortable, and fast which all contributes to a certain sense of confidence for the driver. During my time with the Fusion, it performed flawlessly when driving a bunch of friends to dinner or during countless errands where I really had the ability to test out just how big the trunk was. 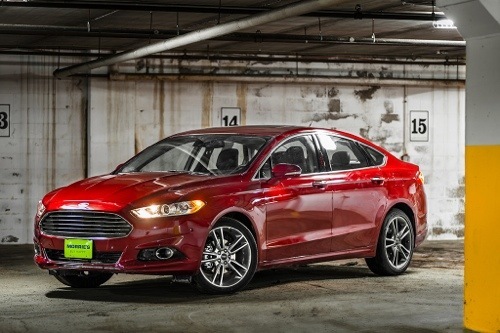 In every situation, the Fusion exceeded my expectations as a car. While the $37,475 price tag of the fully-loaded Fusion Titanium I tested may seem like a lot for a car that has a base price of just $21,970, and even though the Fusion I tested is more expensive than most of its competition, the features it offers at that price still makes it a bargain. This point is most obviously made clear when looking at the safety features offered in the Fusion. For example, the Driver Assist Package that came equipped on the particular Fusion included the Blind Spot Information System with cross-traffic alert that uses sensors in the rear quarter panels to warn you if someone is in your blind spot or driving by as you’re backing out of a parking space. It also includes lane-departure warning with a lane-keep assist feature that will gently guide you back into your lane if you start to drift out of it. The driver monitoring system will also watch your driving patterns and alert you to pull over and grab a coffee or get some rest if it senses that you’re not paying as much attention to the road as you should for an extended period of time. Of course, you also get automatic high beams and rain sensing wipers as part of the package as well. This package, when combined with the Adaptive Cruise Control and Active Park Assist systems, means that the Fusion is closer than nearly any other car on the road today to bridging the gap towards being an autonomous car. So while the Fusion may not be the autonomous car of the future today, the features it does have all contribute to making it feel more comfortable and stable on the roads of today. 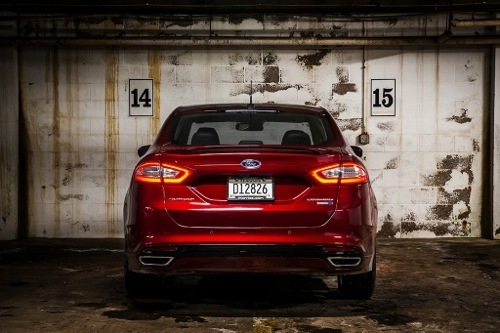 And it’s that reason that the Fusion, with its combination of high-tech features, elegant styling, and refined comfort, has become one of Ford’s major runaway success stories. 90 Days of Giving | First Car Giveaway!